I'm in love with New York. It matches my mood. 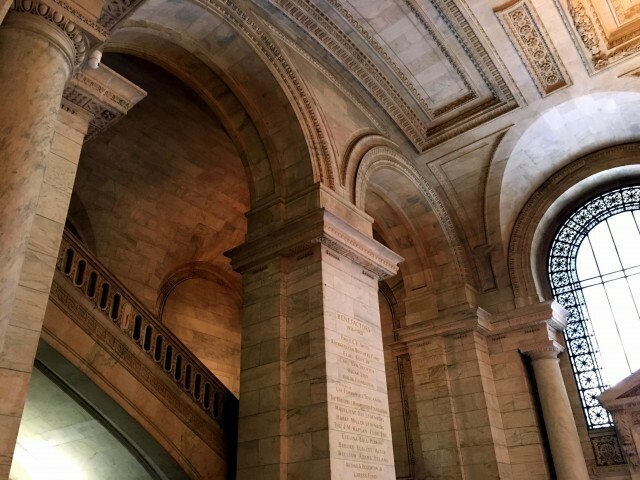 Browse: Home » I’m in love with New York. It matches my mood. Her name was New York, New York. She had poisoned your sweet mind. 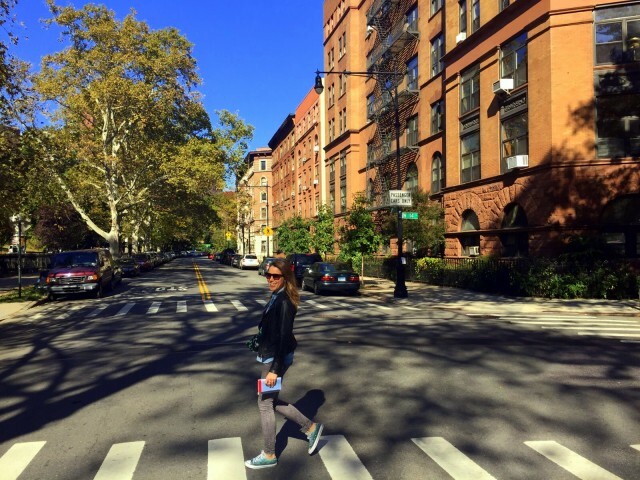 ♫ I’m walking down the Harlem streets with my sneakers on… ♫ Me is a happy camper! What’s called the vélib in Paris, is the Citi Bike is New York. In my opinion the best way to transport yourself through the city and the costs are so NOT NYC. We bought a 7-days access pass for (tatatadaaaa) $25,- (Huh? What?). You can take as many 30-minutes trips if you want and if you pass the 30 minutes (and bike until 60 minutes) you pay $4,- extra. So, if you are very stingy (or just going Dutch), best you can do is put your bike back in the bike station within the 30 minutes, wait 2 minutes and pick one again… No extra costs! Hahaha! 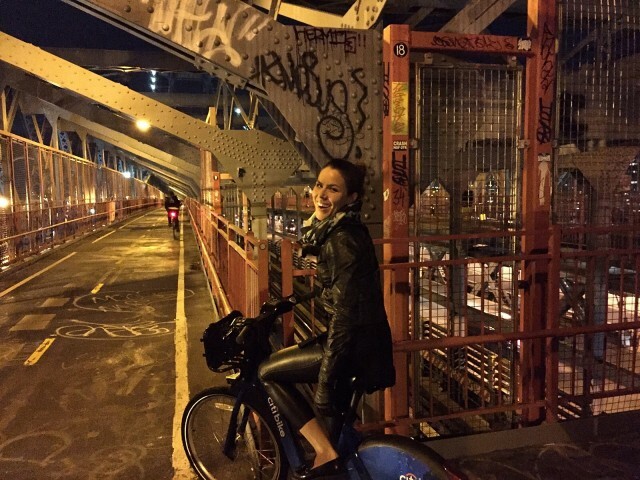 Vrooming over Williamsburg Bridge by Night, beeeejbeeeej! One tip: don’t be afraid to cross streets and don’t hesitate too much. Like in Amsterdam, take your ride of way otherwise nobody will stop for you. Since I’m (like nearly all citizens of big Dutch cities) an advanced cyclist, I loved racing (visualize that, please) through Central Park and the traffic jams of 5th Avenue! It saved us a lot of time and sore feet. 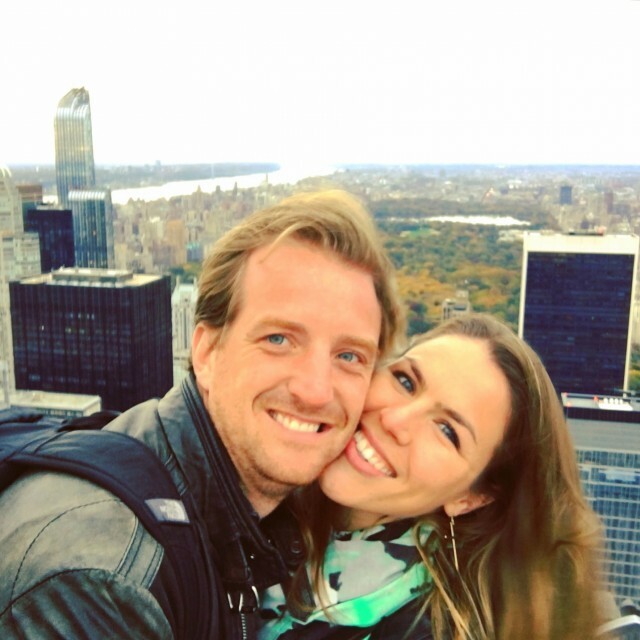 Book tickets for the Empire State building or go, like we did, On top of the Rock (Rockefeller Centre) and you’ll get the same BIG smile like we got here. Want to stay down on the ground? Go to Bushwick Inlet Park, Williamsburg. 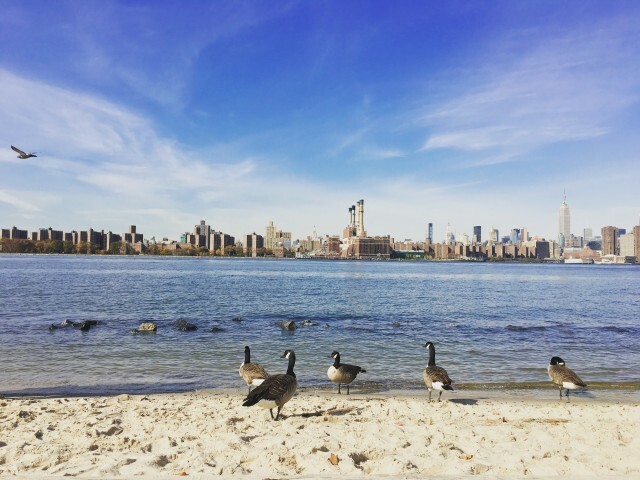 Incredible view of Manhattan (including the goose family)! 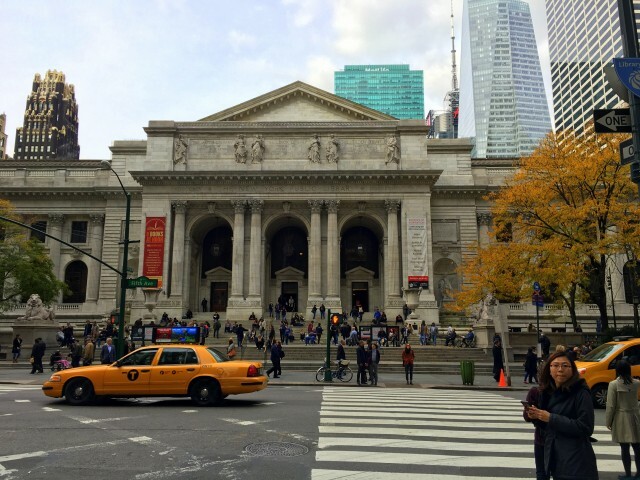 When the building was delivered in 1911, the library was the biggest marble building in the U.S. 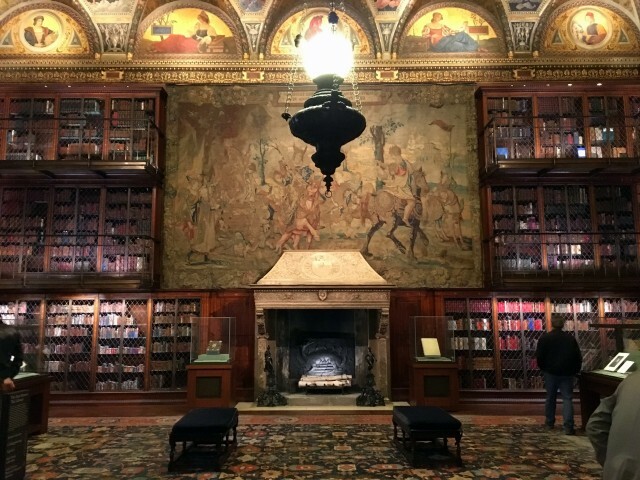 If you can’t get enough of phenomenal interiors full of books, go to the J.P. Morgan Library & Museum. Next to the fact that Piermont Morgan was the most influential financier in U.S. history he was also a passionate art and book collector. 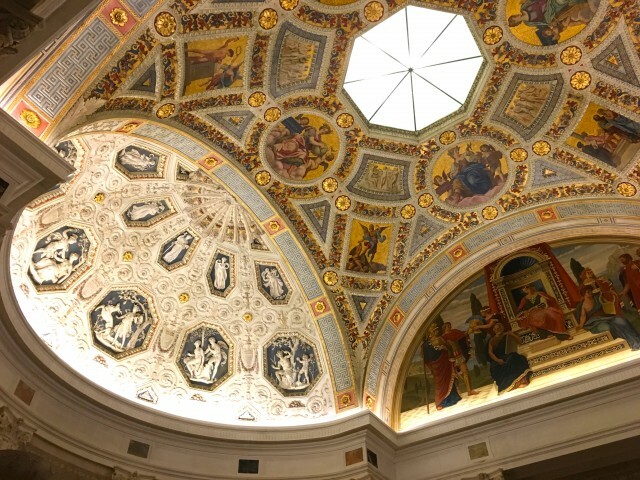 The palazzo-like structure he built contained 45 rooms, a massive library of 3 stories high including hidden staircases, a marble rotunda, Renaissance art works and has a Renzo Piano expansion since 2006… Hey, I’m in L.O.V.E. Ok, this is my wanted living room! Do it like the locals do and go to a sports game. I really wanted to go to a Yankees game but unfortunately the baseball season was just over. 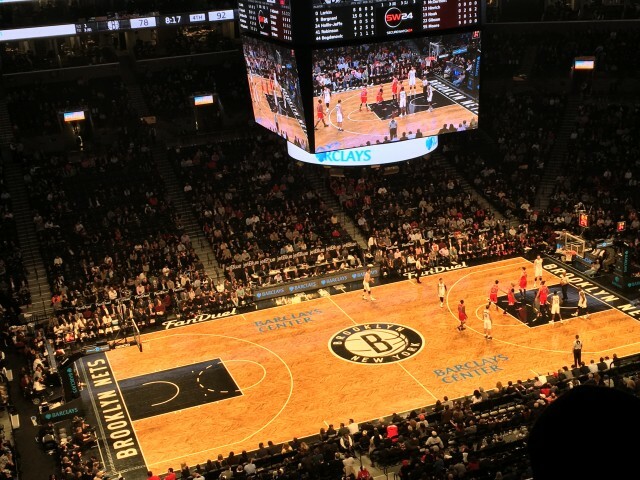 But I have no complaints, because instead of baseball we went to a basketball game of the Brooklyn Nets vs. Chicago Bulls! Although I don’t know anything about basketball, I had the time of my life with my beercan, uber-delicious American hot – doggy – dog and the cheerleading Brooklynettes. I’m in love with N.Y. It matches my mood. I’m not overwhelmed. It is the suitable scene for my ever ever heightened life. 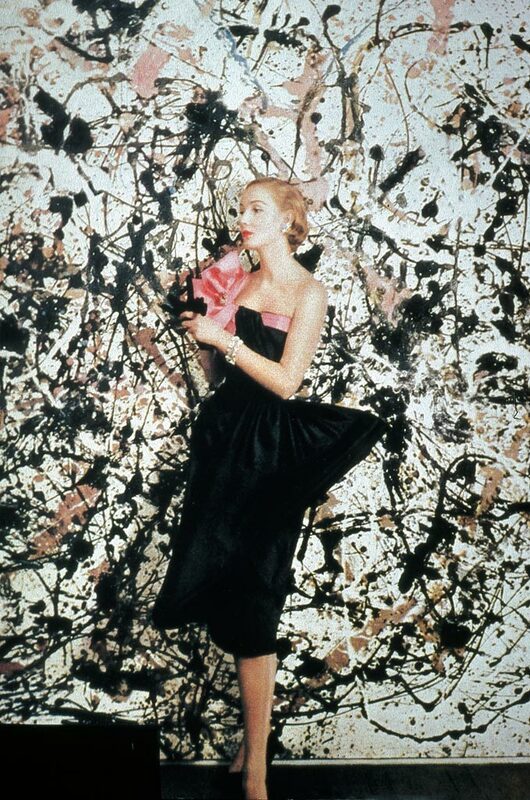 I love the proportions, the amplitude, the brilliance, the polish, the solidity. I look up at Radio City insolently and love it. It is all great, and Babylonian. Broadway at night. Cellophane. The newness. The vitality. True, it is only physical. But it’s inspiring. Just bring your own contents, and you create a sparkle of the highest power. I’m not moved, not speechless. I stand straight, tough, and I meet the impact. I feel the glow and the dancing in everything. The radio music in the taxis, scientific magic, which can all be used lyrically. That’s my last word. Give New York to a poet. He can use it. It can be poetized. Or maybe that’s a mania of mine, to poetize. I live lightly, smoothly, actively, ears and eyes wide open, alert, oiled! I feel a kind of exhilaration and the tempo is like that of my blood. I’m at once beyond, over and in New York, tasting it fully. Me, my favorite Avelon Jeans, my blue friend at the Brooklyn Bridge! I’ll be back soon! ← Amsterdam Light Festival is coming to town!